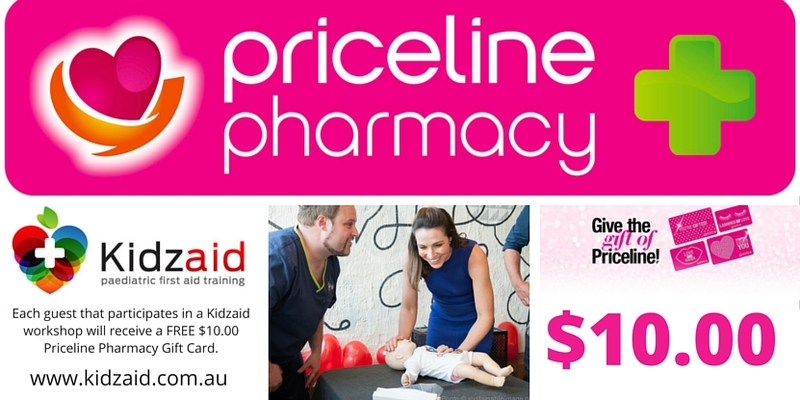 KidzAid training sessions will provide you with the knowledge and skills you need to be able to confidently recognize and manage a seriously ill or injured baby and child. Knowledge is power and through education and training, we can make a difference. **Each participant will receive a certificate of attendance upon request, a comprehensive 250pg eBook and a $10.00 gift card from our partners-Priceline Pharmacy.